Every day, I'm constantly getting better at what i do!! As long as I have fun, I am proud of what I make. One of my best achievements in Gmod. My personal Button for my friends and fans. NightmareRarity1 has started a donation pool! To help me, and to allow me to do giveaways for y'all. I'll be doing commissions of people's inksonas. 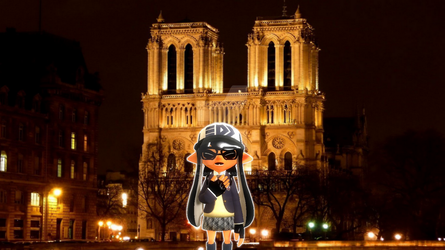 Prices may go up depending on the complexity of the inksona, or the background. The quality is just as good as the competition, (if not better), yet at a much cheaper price. If you want to commission, me, DM me, and send the points through donations on the top right of my profile, and we'll talk from there. Do it through this icon, and I'll deny it. Sorry, earnings are too complex and a ripoff. I am now able to do character icons now. My quality is just as good as the competition, (if not better), yet at a much cheaper price. I can also make you a pagedoll so that you can customize your profile with. My quality is just as good as the competition, (if not better), yet at a much cheaper price. Hi I'm John. I'm 24 years old. I'm from Texas. I like to create posters on Garry's Mod, And SFM. Everyday, I'm honing my skills on gmod and sfm, I make art to have fun, and make myself, my friends, and my fans happy. Commissions: My door is always open, prices may vary. Art-Trade: I might consider it, depending on what it is. Wanna see more of my content? Why not become a watcher! If you like it why not favourite it? It's been a while since I made a poster, I really need to stop being lazy and actually be productive. So here is a poster I made for a promo for the new map coming soon to SFM. It's my first time actually trying out a new resolution setting. And I couldn't be more proud of the results. Like what you see, why not favor it? Like what I make, why not watch me? Ballora: Why do hide inside your walls? When there is music in my halls? All i see is a empty room. No more joy, an empty tomb. To dance to spin to fly away. I had a lot of fun making this one. And I am very proud of how this one came out. I'm starting to enjoy making FNAF posters it's more relaxing, plus They look awesome as well. I just want to wish everyone a happy valentines day! And many more to come!! Hello guys, Nightmare Rarity here, and I am here to debunk any drama that's been going on here. So Xpert and Dylan made journals about me, I will admit, some stuff was true, while the rest is not. Though I will admit that two of the accounts he mentioned were mine, the other two were not. And another thing that wasn't true, was that I didn't make the accounts just to stalk one person, I made the accounts in an attempt to start over and be free of the mess that I left back when I first joined the community. From what I saw, there was no way that I could ever recover what I have lost. I just thought that it was the only solution for me. I've realized that it was a huge mistake of me to do. And I do regret ever deciding to choose that path. As for cyber bullying, and stalking, I would never consider anything of the sort. It's just the fact that I always request to talk to these people and trying to clear things up with them doesn't mean stalking. If y'all considered that stalking, then I do apologize for that. If you do forgive me, then thank you. If you do choose to side with them and want to block me, then I won't blame you. What would you guys like to see more of? 5 deviants said Something Else. Who should I cosplay next?? How have you been? It’s been a long while. I've been doing ok. and yes it has been a long while. How are you? My Pleasure. Your stuff is absolutely fantastic!! Keep up the great work!! Also, I'm starting to get into FNAF art now.